The magician wearing this well-traveled top hat has a few tricks up his sleeve! 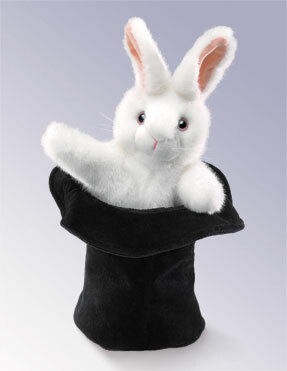 When you poke your hand up through the velvet hat, out pops a fluffy white bunny waving his paws and twitching his nose. Measures 8" long x 8" wide x 14" tall.